Sam Tuitupou, the Munster player (No 12) today (Wednesday, 13 October) appeared at the ERC Offices in Dublin for a disciplinary hearing before an independent judicial officer as a result of a citing complaint arising from the Round 1 Heineken Cup match between London Irish and Munster at the Madejski Stadium on Saturday, 9 October. The citing complaint was for a dangerous tackle in contravention of Law 10.4(j) (which is specifically concerned with lifting a player and dropping or driving him into the ground). In particular, Mr Tuitupou was alleged to have committed a dangerous tackle of that type on London Irish scrum half Paul Hodgson (No 9). Mr Tuitupou pleaded not guilty to the citing complaint. After considering the evidence and hearing submissions on behalf of Mr Tuitupou and from Roger O’Connor, ERC’s Disciplinary Officer, the independent judicial officer, Simon Thomas (Wales), determined that Mr Tuitupou had committed the act of foul play and imposed a suspension of three (3) weeks. 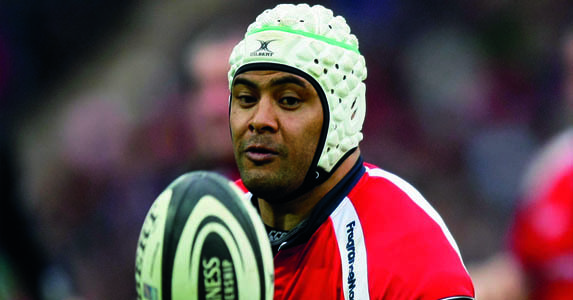 Mr Tuitupou will be free to play again on 1 November, 2010. Under the Disciplinary Rules for the 2010/11 Heineken Cup, independent judicial officers are required to follow the sanctioning regime laid down by the International Rugby Board. Accordingly, having found that Mr Tuitupou had committed an act of foul play, the independent judicial officer was required to determine the ‘entry point’ for Mr Tuitupou’s suspension, based on an assessment of the seriousness of his actions. The possible ‘entry points’ for an infringement of Law 10.4(j) are lower end: three (3) weeks; mid-range: six (6) weeks; and top end: 10 weeks or more. Having determined the appropriate ‘entry point’, the independent judicial officer was then required to consider whether that ‘entry point’ should be varied to take into account any mitigating factors (such as the player’s conduct, remorse and plea) and any aggravating factors (such as his previous record and any need for deterrence). In this case, the independent judicial officer determined that the appropriate ‘entry point’ was lower end, ie three (3) weeks based on (among other things) Mr Tuitupou’s recklessness and the injuries sustained by Mr Hodgson. The independent judicial officer increased the suspension from the entry point by one (1) week to take into account the need for a deterrent to combat this type of offending, and then balanced this by decreasing the suspension by one (1) week to take into account Mr Tuitupou’s conduct at the hearing, which resulted in the final suspension of three (3) weeks. The independent judicial officer ordered Mr Tuitupou to pay costs.